John Walter Price (Jack) was the son of Thomas James Price and Rosa Madia Thomas. He was born at Wern Cottage, Llanfihangel Talyllyn, Breconshire (now Powys) on May 1 1885. He died in Abercanaid, Merthyr Tydfil, Glamorgan on December 4 1959. Maggie Madia Price (Maida) (1910-2000) was born at 26 Nightingale St, Abercanaid on August 25 1910. She married William Charles Rogers (February 20 1911-1994; born Southwold, Suffolk) at St. Peter's Church, Abercanaid on June 8 1935 (later living at 24 Violet Place, Whitchurch, Cardiff). In 1939 he was was a Potato Salesman Wholesale & Retail and a part-time ARP warden. They had a living son. In an article entitled 'Village Life in Abercanaid 1905-1925' (Merthyr Historian Vol 6, Merthyr Historical Society 1992) Edward Rhys-Price - not a known relative - describes conditions in Nightingale Street in the early years of the 20th century. He was born at no. 64. (p.43) "In my boyhood the population of Abercanaid was about 1000.Practically all the houses had been built around 1850 of grey stone from the local quarries, but some of the squares of houses had been built some years earlier for the men working on the Merthyr to Cardiff canal which was opened in 1790. The houses followed the usual pattern of miners' cottages at that time, consisting of a living-room, one bedroom and pantry downstairs, with two bedrooms upstairs. The living room served as kitchen and sitting room as well. It was heated by a coal-fired range where all the cooking was done and was lit by a hanging oil-lamp. The bedrooms were lit by candles. Gas lighting was installed in the 1920s (...)"
Other salient points: (p. 44) One tap in the house ... washing done in a wooden tub ... each miner's family received 15 hundredweight per month of coal, so the house was kept warm ... flagstone flooring, sanded down on Fridays ... later covered with home-made rag mats and later with lino ... father rented an allotment for vegetables on the hillside. Ronald Mervyn Price was born February 15 1912 at 64 Nightingale St, Abercanaid. He married Megan Price (August 28 1914-March 11 2000) on March 5 1938. 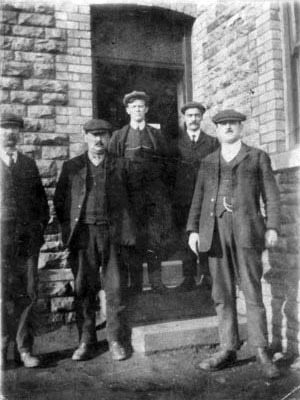 They were at Gethin Cottage in 1939 when Ronald was a colliery lampman above ground. Also there was Megan's brother Emlyn Price (January 22 1902-March 1989). 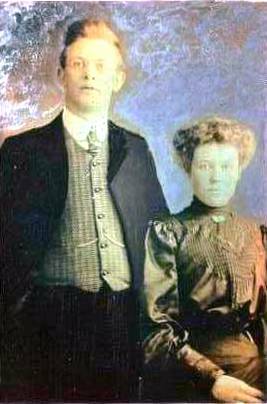 Megan's parents were Thomas James Price (1875- ) and Elizabeth Evans (1877- ). There is no apparent relationship between the two Price families. (Note that on the 1939 Register there is a later entry which indicates that someone has confused Megan with a Megan Sybil Price, also born in August 1914. Consequently the index shows her as Megan Sybil Elliott (Price) with the married name of the incorrect Megan). Ronald joined the RAF in 1941. They were living at 27 Carlton Terrace, Troedyrhiw, Merthyr Tydfil in the 1950s. He died on September 16 1988 in Troedyrhiw. Donald Bertram Price (1912-1975) was an Engineer at Guest Keen & Nettlefolds, born February 15 1912 at 64 Nightingale St, Abercanaid, died May 30 1975 in Scunthorpe. On October 11 1941 at Pengam he married Morfydd Griffiths (1920-2003) (died as Morfydd Ibbotson on 10th July 2003 at Leicester Hospital). They had David Price (1943-1992) and a living daughter. 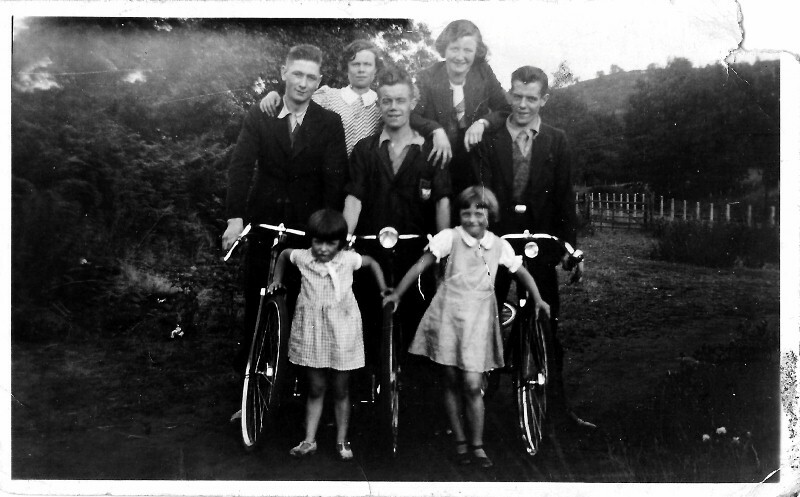 Hilda Mary Price born January 16 1915 at 64 Nightingale St, Abercanaid. 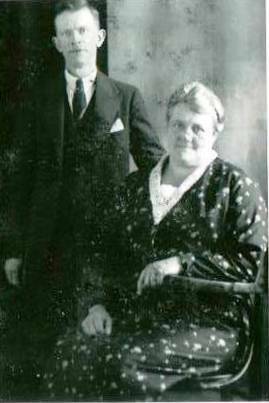 She married Lewis John Davies (July 2 1911-1994) on November 1 1932 at Merthyr Tydfil Registry Office. Paul Davies (October 24 1938 - 1942) was with them in the 1939 Register when Lewis was a retail fruit salesman. Hilda died in Yarram Hospital, Victoria, Australia on October 14 1988. Hettie Price born November 19 1916 at 64 Nightingale St, Abercanaid. 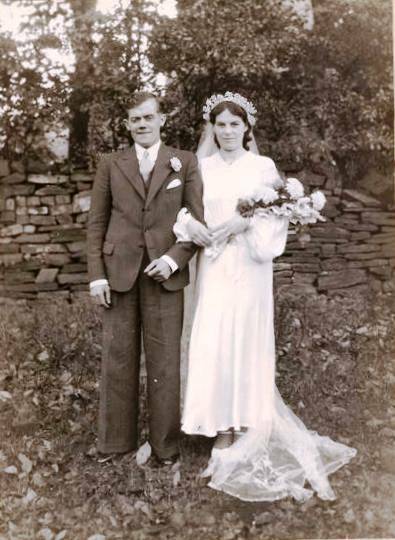 She married Taliesin James Bowen (1915- July 28 1976) at St. Peters, Abercanaid on June 3 1939. Hettie died on November 27 2004 at Modbury Hospital, South Australia. They had a living daughter. Ethel Belenda Price born October 3 1920 at 64 Nightingale St, Abercanaid. 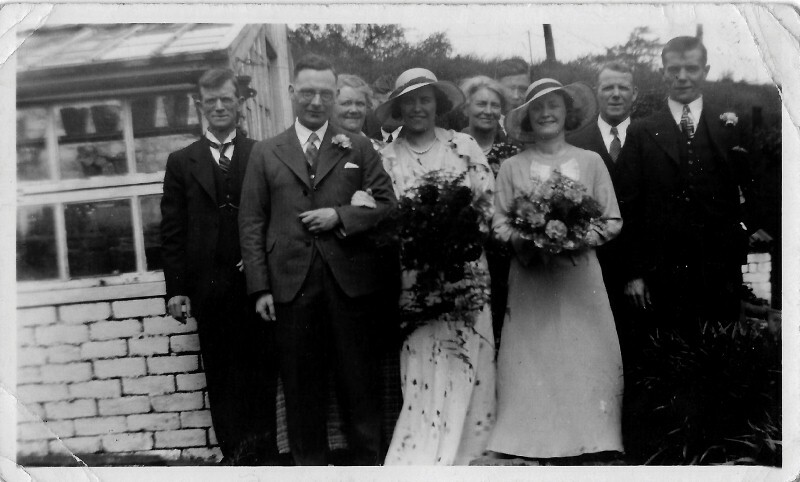 She married David Brinley Hamer (1922-1980) at St. Peters, Abercanaid on September 13 1941. Ethel died in Ystrad Mynach on August 20 1982. Belva Eileen Price born May 8 1923 at 60 Nightingale St, Abercanaid. She died on April 6 1941 at 13 Newton St, Abercanaid. Lilian Teresa Price (Tess) (1926-1997) born November 27 1926 at 64 Nightingale St, Abercanaid. 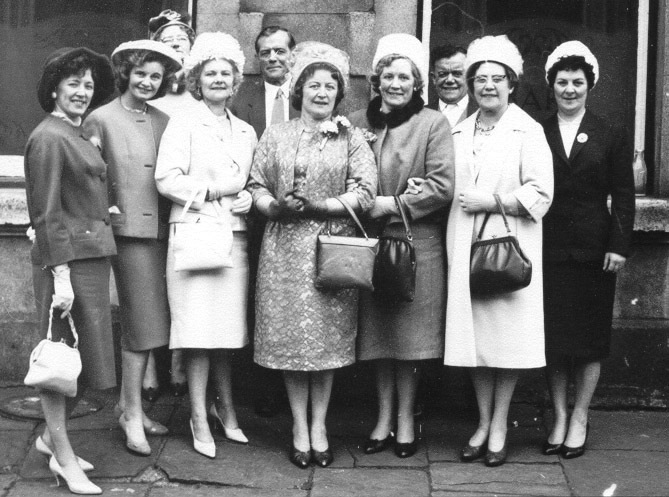 who married Stanley Prosser Thomas (June 26 1924-February 1 1998) at St. Peters, Abercanaid on April 10 1948. She died in Swansea on January 2 1997. A living daughter who married Charles Eric M Hatch (1919-1983). John Gethin Price born August 11 1931 at Gethin Cottage, Abercanaid. He died on September 22 1931. 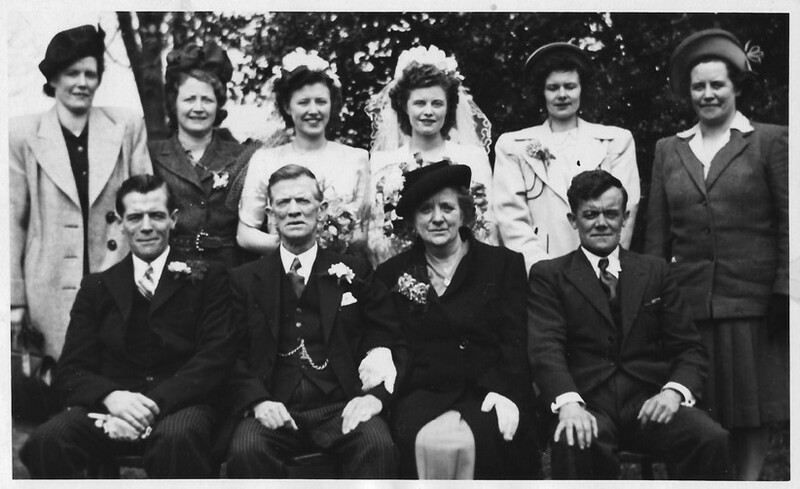 John Walter Price married again to Hilda Ethel Mullen Hill (nee Overton) (1888-) on January 2 1942 at St. Peters Church, Abercanaid.